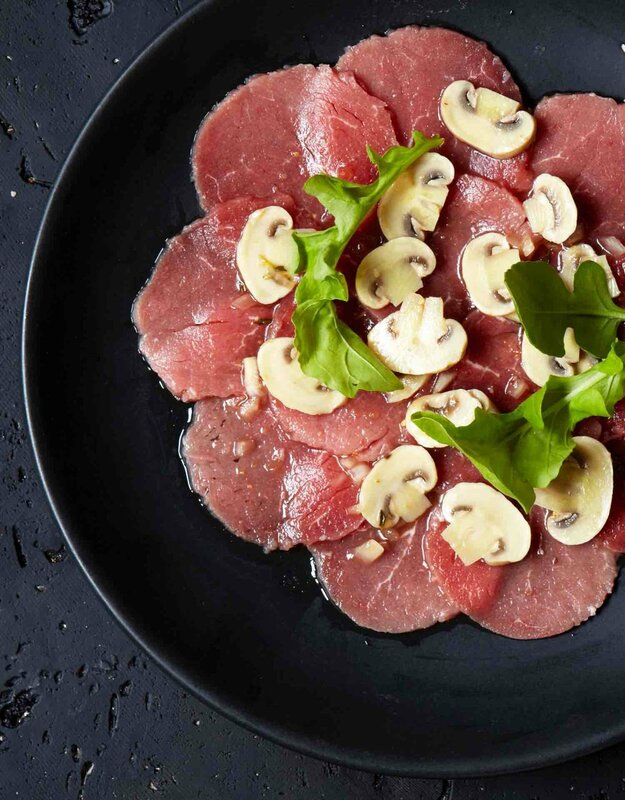 This deliciously simple Carpaccio is the perfect start to your summer dinner parties. It’s light, it’s fresh and it looks great. Brown the fillet very quickly in a very hot pan and seasonwell with salt and pepper. Top the Carpaccio with the sliced mushrooms of your choice,and season the whole thing with salt and pepper. Drizzle over a little oliveoil and garnish with micro rocket just before serving.